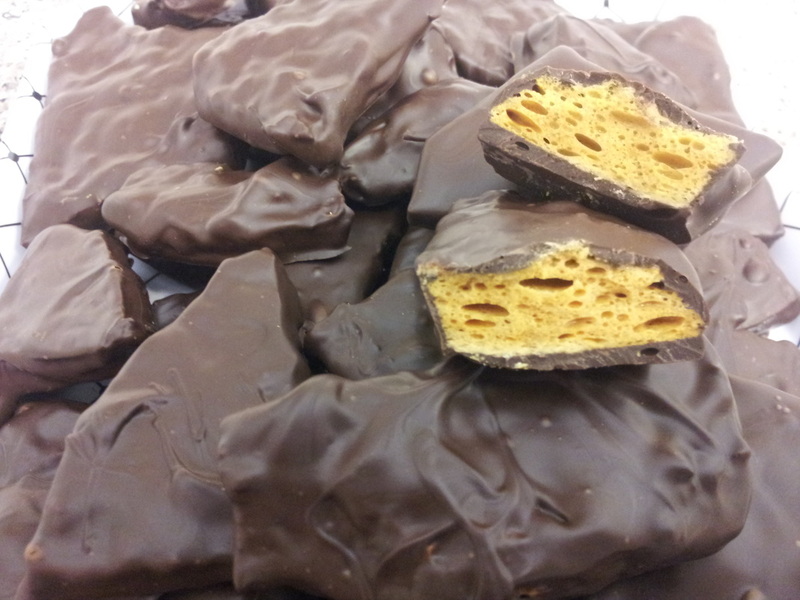 This vanilla honeycomb treat has a slight brown sugary taste and melts away in your mouth. The light, porous center is covered in a generous coat of 100% Belgian chocolate! Available in 1/2 and 1 lb. bags. Individual pieces will vary in size and thickness.